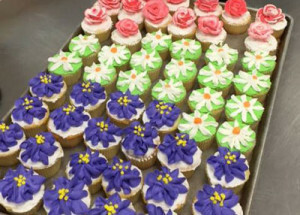 Plan and prepare a variety of desserts and pastries in both small and large batches that can be served in a variety of establishments, from casual to fine dining settings. 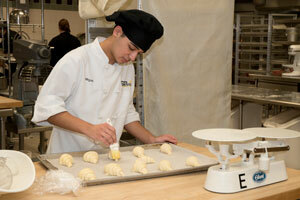 Work, hands-on, using state-of-the-art kitchen tools and equipment found in large and small industrial kitchens and bakeries. 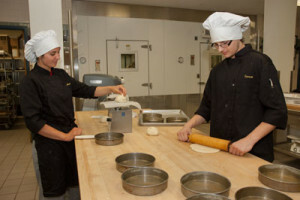 Earn industry-recognized certifications and develop employability skills including resume preparation, interview techniques, and inter-personal skills that prepare students for competitive employment opportunities locally and abroad within the growing and diverse baking and hospitality industry. Acquire practical knowledge and skills necessary for entry-level employment, along with preparation for academic success at the post-secondary level in either a community college, technical school, or a four-year college or university. I was born and raised in Lancaster, PA, where grocery shopping was mainly done at local farmers’ markets, which inspired my initial interest in the foodservice industry. Currently, I reside in the Philadelphia suburbs with my husband. We spend much of our free time either reading, hiking, or gardening. In my most recent position, I was employed as a Pastry Cook at the Union League of Philadelphia—a private club which encompasses several restaurants and banquet facilities across the Philadelphia region. Working in the elite club environment provided access to the highest quality ingredients, equipment, and abundant creative opportunities. Additionally, I have worked in the pastry shop at The Hotel Hershey, where I was able to hone my skills in designing and constructing chocolate showpieces, high volume production, and plated desserts. 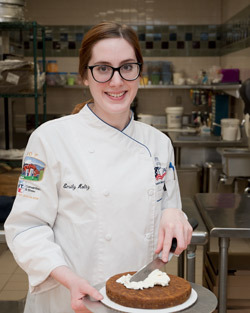 Working within a diverse range of environments, from the city and beyond, has cultivated a desire to better my own craft in baking and pastry and to teach those that wish to do so as well.